In our interview with Jordynne Grace, she talked about how she's published a book about the creepy direct messages she's received as a pro wrestler. Despite the fact that she has this listed in the bio of her Twitter page, she's still received enough to continue the series. In the interview, she opened up to Fightful and provided advice to women who experience the same things she does. When asked about the WWE Mae Young Classic, Grace said that she'd love to perform in the tournament, but said that she doesn't think it's in the cards for her soon. She's battling an ankle injury and planned to actually take time off (which she's since rescinded a bit). Grace recently signed with Impact wrestling and actually competed through her first set of tapings with the company on the injured ankle. Fightful's James Lynch spoke to Dan Lambert again recently, as he has a lot of high profile members of American Top Team in huge fights coming up soon. Lambert was asked about getting back into pro wrestling after leaving IMPACT, but quickly admitted that right now WWE has plenty of mixed martial arts star power between Ronda Rousey and Brock Lesnar. He'd jump at the opportunity to work with WWE, but thinks they probably have their fill. Lambert said that Colby Covington would definitely like to get involved with WWE. He isn't sure how that would necessarily mesh with what he's doing in the UFC, but knows that Covington has definitely opened up the lines of communication very well with his visits to WWE Raw in Miami and his public statements about wrestling. Lambert and American Top Team haven't appeared for IMPACT Wrestling in quite a while, but spoke highly of them and their current product. He said that just because IMPACT isn't number one in the wrestling world doesn't mean they don't have talent on par with those in WWE. He still watches the show and claims he's never too busy to watch wrestling, and put over their production, talent, storylines and much more. He wasn't as kind to WWE's current storylines, but admitted he was a big fan of Daniel Bryan and AJ Styles' work over there. American Top Team's Lambert said that Becky Lynch's persona has impressed him and seemed bummed that she got hurt. He likes her finisher, her mic works and her in-ring ability. He says there a lot of names in MMA that would translate well to pro wrestling, it's just a matter of them getting the opportunity to let their personalities shine through. In some Fightful news, we've added a few new features to Select, and the main sites. 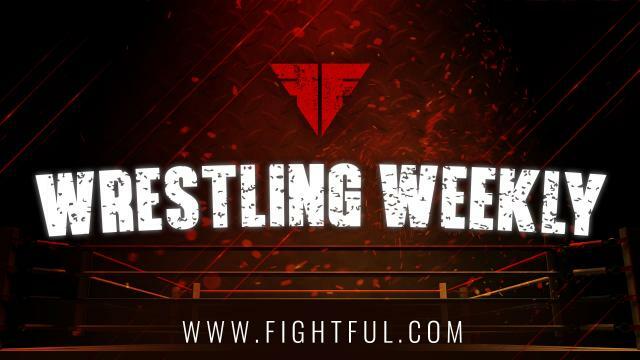 The Fightful Wrestling Weekly will now be covered in The Fightful Report Podcast (as well as other backstage news, injury reports) and more mid-week before it actually releases to the public. Stephen Jensen has taken over Fightful Select Weekender Podcast duties, with last week's edition being a free preview. We'll soon put out a free preview edition of The Fightful Report show as well. We've moved the remaining filmed editions of Alternate Fight Commentary over to our new MMA and Boxing Channel, and will continue the series on Fightful Select as a bonus show, but will focus on Alternate Commentary for fights that feature pro wrestling talent as well. Our UFC Rankings Breakdowns will also be moving to our Fightful MMA & Boxing Channel. Fightful Select had a couple of small news bits on Tribute To The Troops last week ahead of the filming, including air date and the Smackdown Women's Tag Team match. We were told that several superstars who live in the area volunteered to come out for the show, and Texas has become a popular new living area for some wrestlers. As far as other Superstars go, Paige was said to be a big hit at the show interacting with the troops. We're also told there weren't any huge, heart-stopping matches, but the show was a fun one. Had a little bit of a snafu this week when dealing with AXS (who are very media and viewer friendly, by the way). I was set to interview a couple of names, including Tessa Blanchard (who I've actually never interviewed), but she withdrew the day prior. When getting notified of the change, the company sent over a "first look" clip that I actually posted on my Twitter and Fightful's Youtube page, that actually wasn't supposed to go out. AXS admitted the error and kindly asked me to remove it, so if you got a glance at that early, consider yourself lucky. When one of my Twitter followers mentioned the Hardy Boyz setting themselves up for failure with their Twist of Fate, Matt Hardy joked to me about the changes that he's made in recent years to help prevent that.